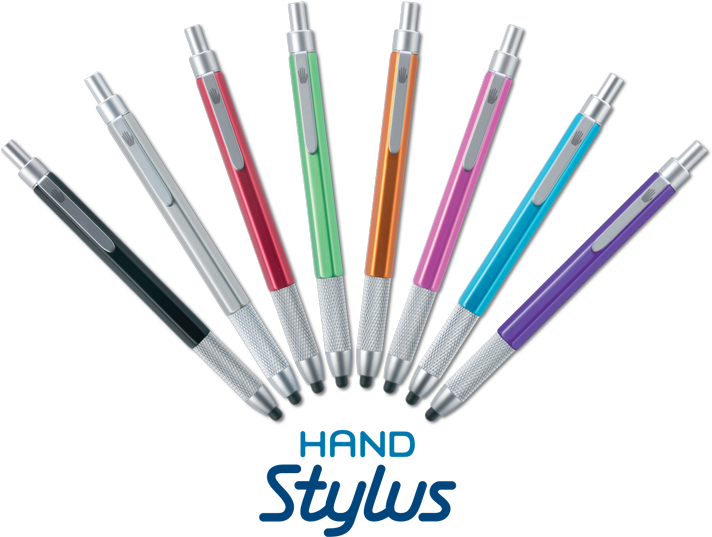 The Hand Stylus is a masterfully crafted stylus that features the world's smallest retractible tip. The slim tip, which is easy to replace, rotates as it retracts so it wears evenly. The Hand Stylus, which had a record setting launch on Kickstarter, has been rated in many reviews as the best stylus for drawing, note taking, and gaming on touch-screen tablets and smart phones such as the iPad and iPhone. The Hand Stylus also works well onAndroid, Kindle, Nook, Nexus, and Windows touch-screen devices. The New York Times, Wall Street Journal, and more.